After many months of testing and devising new techniques since experiencing mechanical problems, NASA’s Curiosity rover is finally drilling again! The latest test this past weekend proved a success, producing the first drill hole in a rock in over a year. 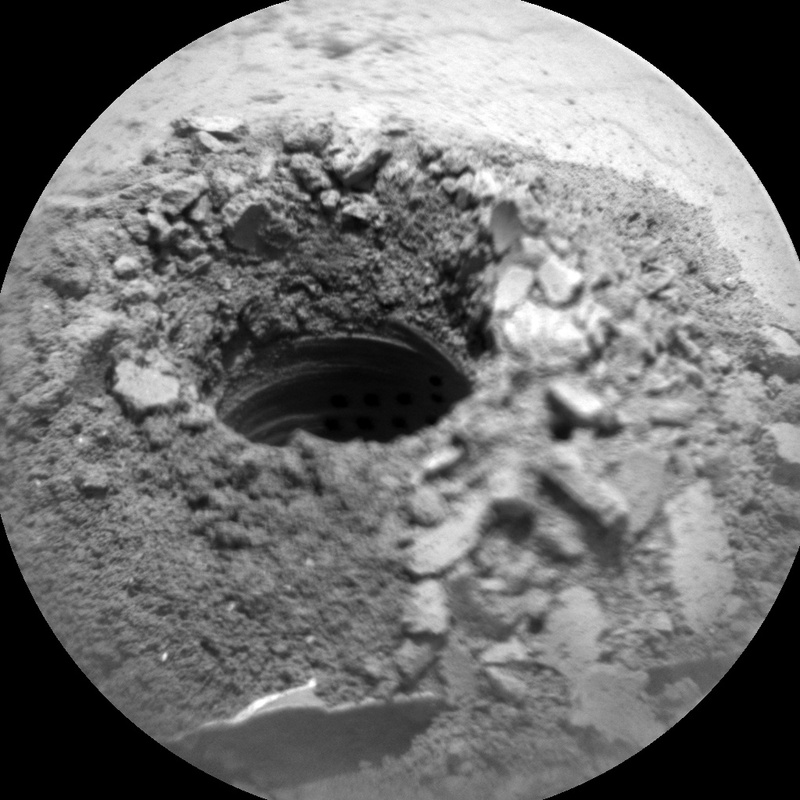 So it seems that the rover may now be ready to resume regular drilling operations again, which had been routine until the problems arose in December 2016. 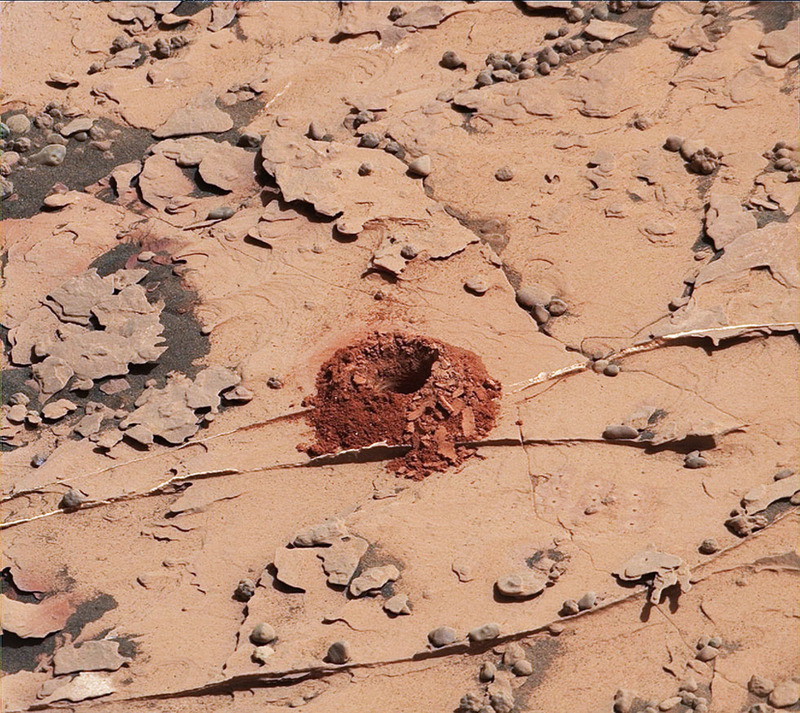 Earlier tests had produced only partial holes, not seep enough to extract any powdered rock samples, but this time the hole was full-depth, with enough sample retrieved for analysis. 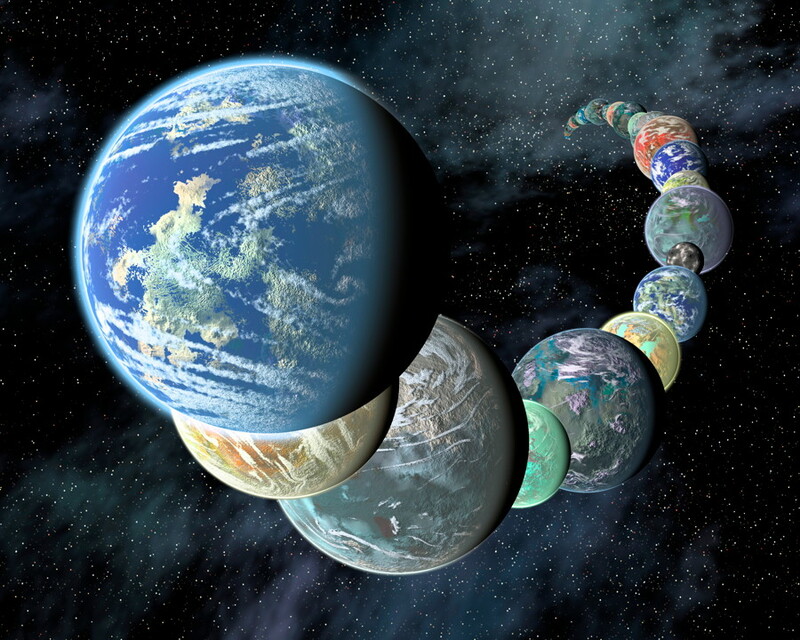 The drill penetrated about 50 millimetres (2 inches) into a rock target called “Duluth,” using a new percussive drilling technique called Feed Extended Drilling (FED). The technique uses the force of the robotic arm to push the drill bit forward as it spins, with a hammering force added to the drill bit. The drill bit is extended out past two stabilizer posts that were originally used to steady the drill against rocks. While this latest test was a success, there is still more work to be done. 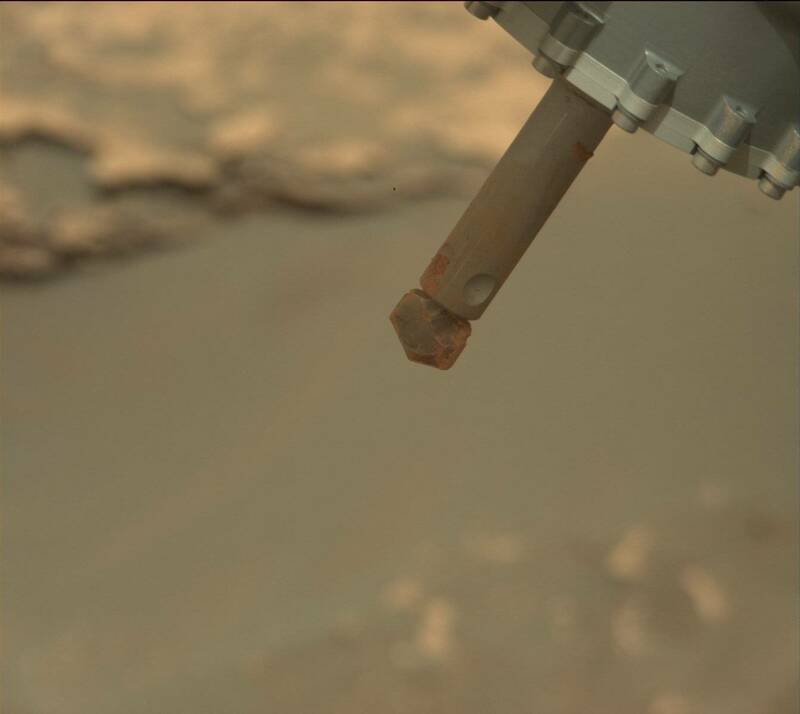 The next step will be to test a new process for delivering the drill samples to the laboratories onboard the rover, which should happen as soon as Friday. The rover’s camera’s will be used to estimate how much powdered rock sample trickles out while the drill is running backwards. 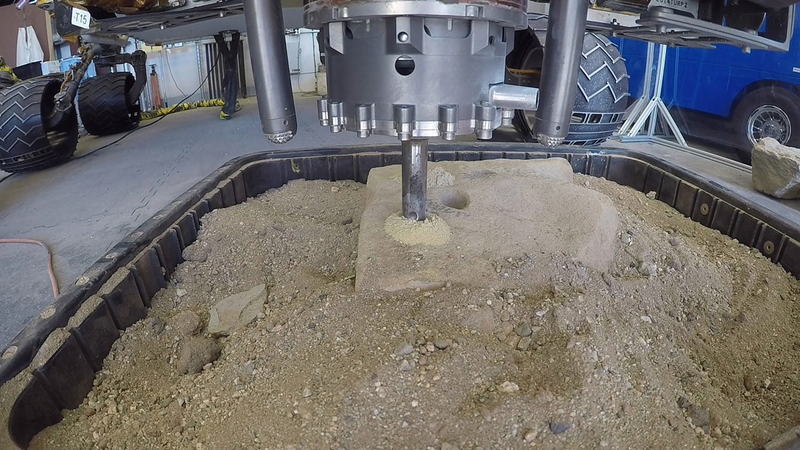 Drilling is one of the most important aspects of the rover mission, where samples of rocks are ground to powder and analyzed by the onboard laboratories. The results tell scientists how the rocks formed and the environment of Gale crater millions and billions of years ago. 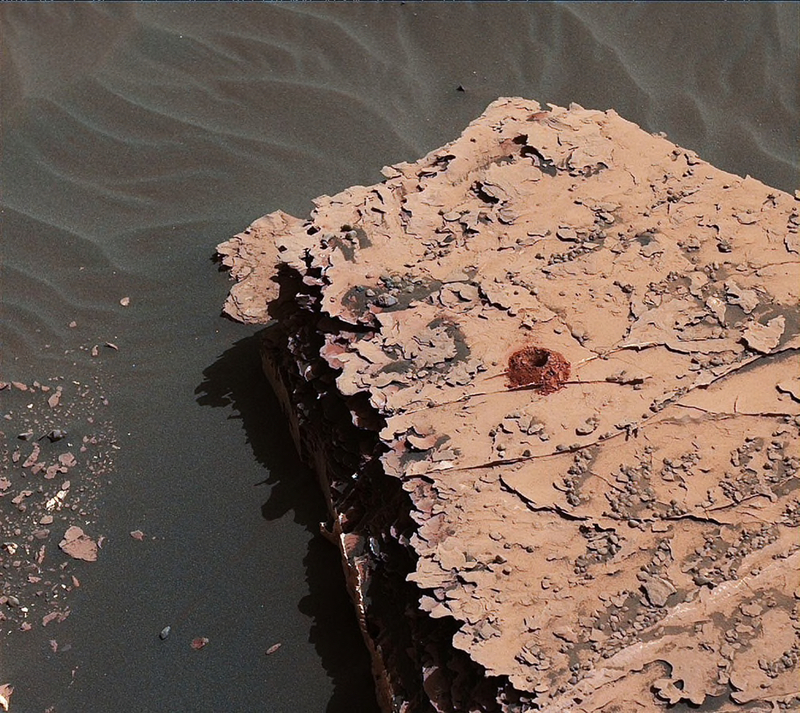 Thanks to these experiments, we now know that Gale crater used to be a large lake or series of freshwater lakes, meaning that this was once a habitable environment, at least for microbes. Curiosity is now moving toward an area rich in clay minerals, backwards, after heading downhill from Vera Rubin Ridge since mid-April. 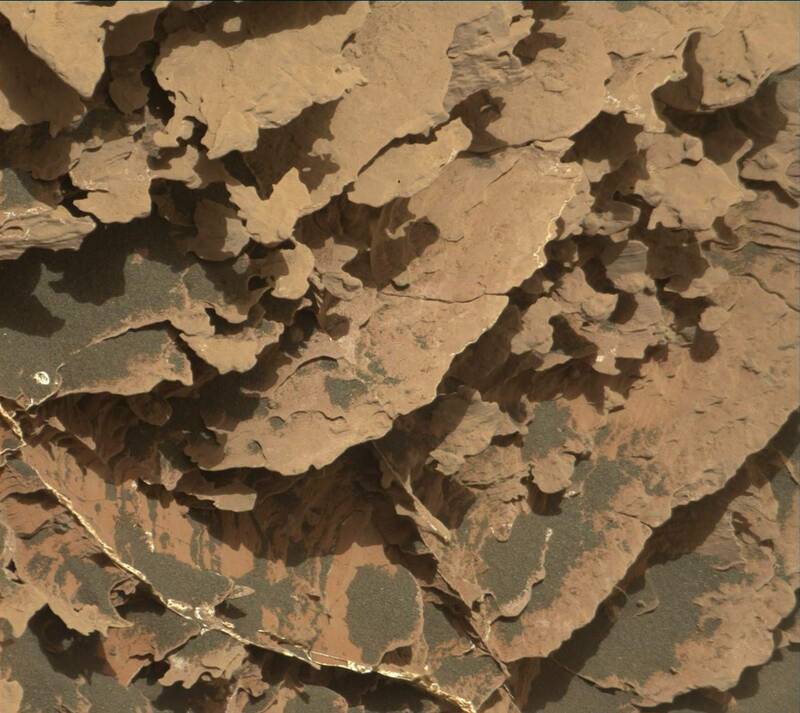 The target is part of a thick layer of rock just below the ridge.